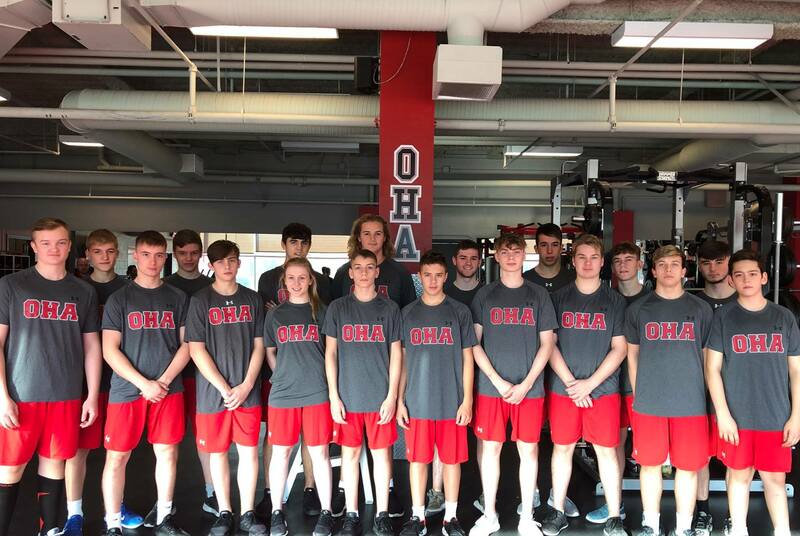 OHA UK continued to build upon their recent good run of results, beating Guildford U18’s 8-1 this past weekend, to close the gap on League Leaders to just 1 point now, and extend their recent winning streak to 8 games. Okanagan got off to a great start, with the Line of Aaron Moody, Lucas Arto and Jess Sprules working hard, and creating a turnover in the Guildford zone. A strong point shot forced a rebound and created a scramble in front, Aaron Moody getting the final touch to notch the first goal of the game. Guildford played a hard first period and were creating a lot of chances themselves. David Jilek got the start in Net for OHA and looked strong early on, seeing pucks well and turning away all Guildford chances as the game remained tight. It took OHA till the final minute of the period to double their lead to 2-0. Reed Sayers with a fine individual effort beating the Guildford defense before rounding the Netminder to slot home at 19.12. The second period proved to be even tighter as a much-improved Guildford team really made OHA work for every puck. And with Okanagan running into a string of penalty trouble much of the middle period was dominated by special teams. The Academy had to kill off 4 penalties, and with their PK looking strong, it was the Power Play that got them the only goal of the period. On their only Power Play opportunity of the second period, OHA got set up and controlled the puck well. Reed Sayers fed Jan Skorcik, who moved the puck to Ethan Mayoh on point, who’s strong shot went through traffic in front and found the back of the net to give OHA a 3-0 lead at the 40-minute mark. The third period saw Okanagan really step up a gear and take control of the match. A much more disciplined 20 minutes allowed the team to rack up another five goals, with a consolation for Guildford taking the score to 8-1 final. Jack Goodchild opened the period and settled the team, before Reed Sayers doubled completed his Hat-Trick and all but ended the game. Aaron Moody hit his second of the match with a redirect in-front of net after a great point shot from Sam Taci. Ethan Mayoh again on the Power-Play after another strong PP from OHA made it eight, and another win. Man of the Match for Okanagan going to Sam Bennett with an impressive hard-working display. 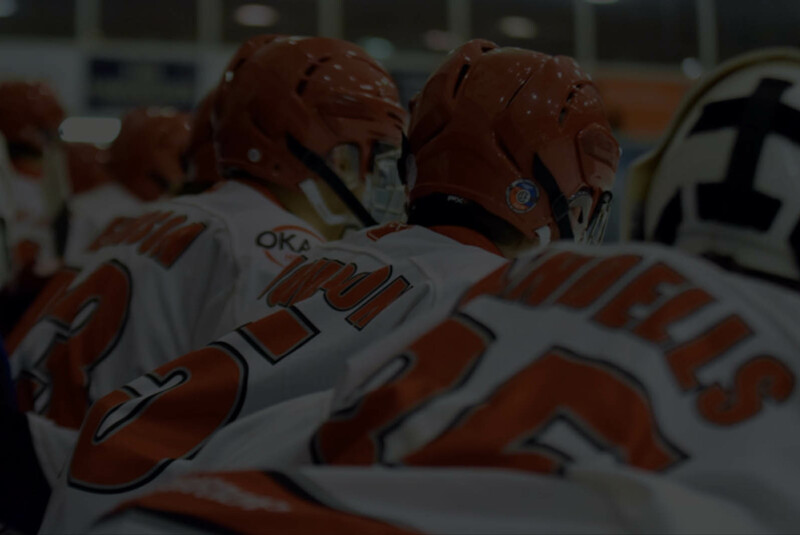 OHA UK will be back in action next on April 28th as the Academy travel to Basingstoke to play the Bison U18’s for the final time this season.